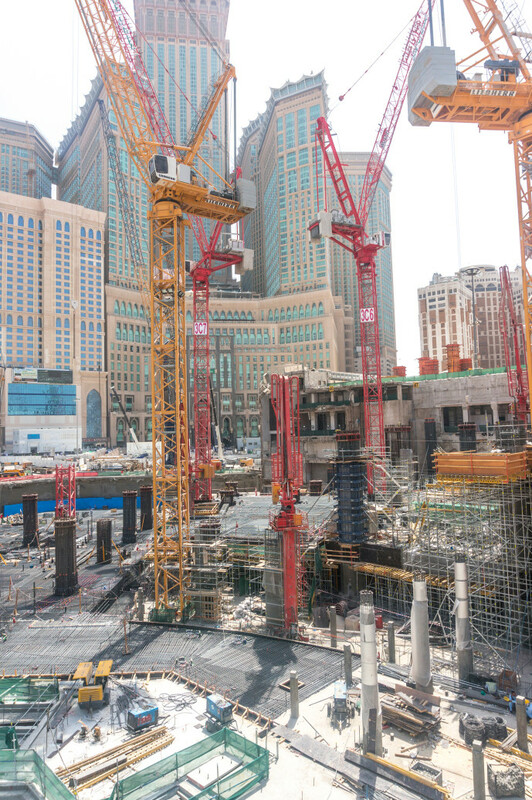 Working in the Middle East over the past 12 years, I have watched the rise of work at height as a major topic of concern for many a safety professional. Published statistics - where they can be found - and word of mouth references, show us that work at height is still a main cause of fatality and serious injury around the Gulf Region. The risks include the obvious falls from height, along with scaffold collapse and crush injuries involving equipment. We are, of course, not alone in this in the Gulf. Working at height is a risky business no matter where in the world you are. During my time in the United Kingdom working as a construction site manager, or leading training for various industries, these issues were all too common, even following heavy legislation being initiated and enforcement of those laws by bodies such as the Health and Safety Executive. That being stated, I have noticed great strides forward in work at height and overall site safety. Long gone are the times when you can walk past major construction sites and see unprotected edges, a lack of PPE and wholly inappropriate work equipment being utilised. I am not saying it is perfect here, but certainly it is moving quickly in a positive direction. So how can we, as safety professionals, ensure that work at height is continually carried out correctly, making sure that employers are protecting employees from the types of accidents that lead to loss of life or debilitating injuries, plus the associated problems those would cause for families, colleagues and others? No matter what the industry, all workers should be covered by a culture of care. Some industries, of course, have more inherent risks than others. So the onus is on employers to ensure they have robust management systems in place to prevent workers from coming to harm. This includes the very risky activity of working at height. The hierarchy of health and safety controls always recommends you should seek to eliminate a hazard where possible. 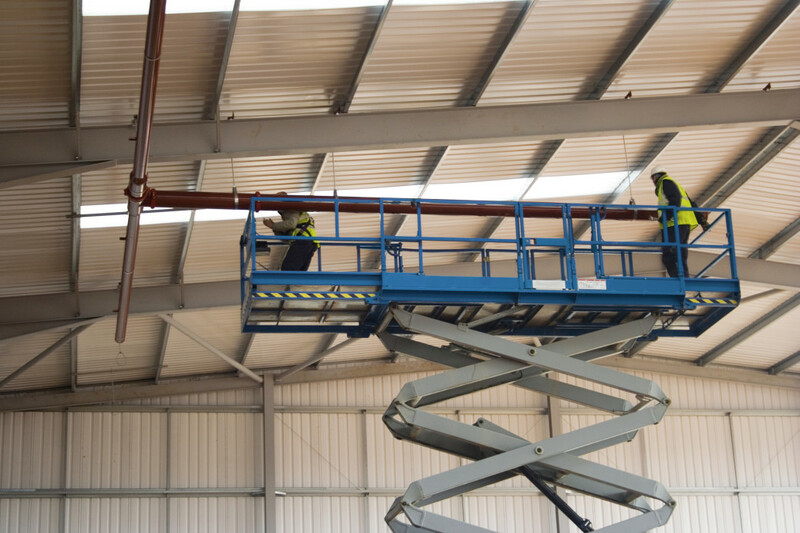 There are a whole host of situations in many industries, however, where working at height is unavoidable, so it is vital that employers seek to have in place control measures. There is a huge amount of legislation around the world on working at height and this is increasing, which is a positive step in the right direction. All GCC countries have signed up to the International Labour Organization’s Common Law 155 (or CL155). This sets out responsibilities for employers and employees. While countries signing this is positive, what is more important is that the standards are followed. Also Abu Dhabi recently released a raft of codes of practice for health and safety standards. 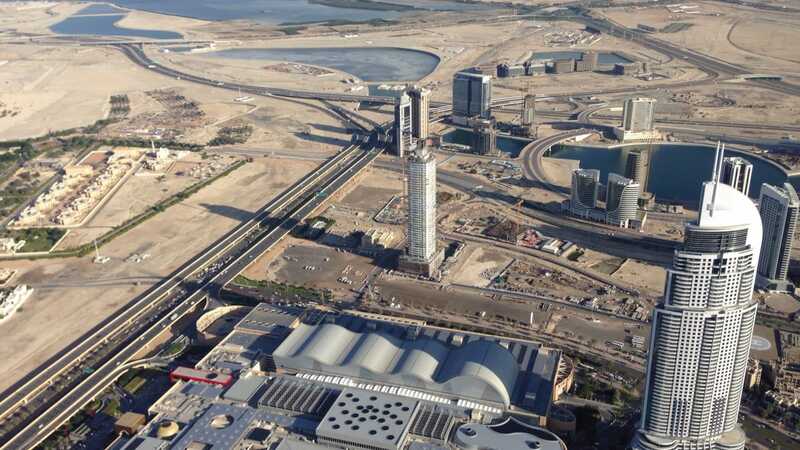 One of these, COP 26.0, was introduced by the Abu Dhabi Occupational Safety and Health Center (OSHAD) and was an update for work at height regulations, particularly relating to scaffolding. This legislation is positive news for us safety professionals, who use these tools as a means to improve safety at height. I have found over the years that many regional employers will just roll their eyes if the safety professional keeps referring to UK HSE or US OSHA legislation, however good they are. It is far better to be able to refer to local legislation if you are looking to get the results. Legislation, however, is just the first step. We need to look at ensuring that it is followed, otherwise it is rendered meaningless. We are approaching a real opportunity for positive change; there is a real feeling around the region that governments, business owners, employers and even the employees or operatives themselves are ready to meet what a large part of the world deems to be a minimum acceptable standard. One positive aspect of having the large Quasi-Government organisations like Saudi Aramco, Kuwait Foundation or PDO leading national standards is that they have adopted those standards from international organisations, and they follow a higher health and safety compliance requirement than the ILO CL155 calls for. Therefore, when contracts are awarded by these large organisations to smaller national contractors this automatically raises those companies’ standards too. So what do these organisations state in their organisational standards or instructions? All of the basics are covered as far as a health and safety professional would expect to see. Contractors (employers) should provide safe equipment to work at height, risk assess those activities and ensure they are using competent people as well as making sure inspections of activities are taking place. So, if your company has some work that must be done at height – meaning there is no way of eliminating the risk – what steps do you need to take? The hierarchy of controls states that you should then look at what controls you can put in place, such as changing the workplace. The last consideration in the hierarchy is protective equipment. Considering this in relation to working at height is unavoidable. Can the equipment safely reach the height required? This is a very basic requirement, but must be considered. Failure to do so brings with it very clear safety risks. Is there any outreach required? Contractors must ensure, when required, there is overhang or outreach capability, to avoid the need for employees or operatives to climb out of the equipment to perch precariously on ledges or platforms without edge protection. Environmental considerations. Is the equipment being used suitable for certain weather conditions? An example is, when using an aluminium tower scaffold outside, is it above the recommended eight-metre maximum height and does the wind speed exceed the maximum 25KPH, something which could put all of the operatives at an incredibly high risk? Also take the example of indoor work – you need to consider the use of electric or gas powered equipment, over diesel or petrol, due to fumes. Ground conditions. Can the equipment work safely on the ground in the location? We know that there is such a wide range of ground conditions such as soft sand, compacted, all the way to concrete or tiled floors. Does the equipment need tracks, outriggers, rough terrain capability, four-wheel drive, pneumatic or foam tyres, rubber feet, nylon castors and so on? Duration of the task. How long do the operatives need to work at height for? This can make the decision of personal over collective fall prevention and protection more viable. For instance, would you recommend a leaning or step ladder to be used where the task exceeds 30 minutes? This is where the person selecting the equipment needs to understand human anatomy and physiology and the effects of standing on a step for extended periods. Other time-related elements could be in regards to planned maintenance or inspection of that equipment, or steel scaffold over aluminium, diesel equipment over battery. Access to location. A lot of issues around equipment use is during its transportation to, or around the site it is to be used on. Can the equipment safely fit through the access provided, over the ground, through doors, and up stairways? Safety attachments. With a lot of equipment these days, often there are attachments such as SkySiren anti-entrapment for MEWPs, manual handling attachments, ladder tie-in devices or footing plates. All of these are generally low cost and easy to use, and should be considered to make the task safer. Operator capability. Has the operator got the correct competence to use the equipment? Or, even more importantly, are they afraid of heights or do they have any health concerns that mean their ability to carry out their tasks safely could be impaired? So, operating in the work at height or access industry as I do, I am often using the above points to try to influence my clients on what type of equipment they should use. You may well ask what the safest type of equipment when you look at reported statistics is. In the past 10 years, Mobile Elevating (Aerial) Work Platforms (MEWPs) have always come out on top, taking into account the amount of man hours they have been operated on in comparison to other equipment. Legislation in Europe spells out the requirement for each work at height task to be assessed by a competent person and the most appropriate equipment to be used. MEWPs are therefore used in a wider range of activities there. In the Middle East, the use of these machines is fairly recent in comparison. With MEWPs coming onto the market, am I the type of safety professional who would like to see ladders banned from sites, as some of my peers have? Absolutely not; we still need ladders. As the oldest and most commonly-used piece of access equipment in the world, I see many merits from their safe use. I completely understand site managers or safety managers who do ban the use of steps and ladders, however, aside from when a permit to work is agreed. This hopefully prevents incorrect use, or use by another operative who does not understand the inherent risks. Sometimes it is better to have a wholesale rule rather than try to manage individuals, as you cannot be everywhere. Safety harnesses are also vital when it comes to working at height; that goes without saying. But employees must ensure they consider what type of harnesses are worn, as the incorrect ones can be ineffective. It is important to recognise that there is more than one classification for a full-body harness (EN361). Often I have come across the wrong type of harness being selected, which brings with it huge risks. As an example, the most common misuse noted in my industry is around the use of harnesses in a Scissor / Vertical lift-type MEWP. All studies have shown that there is an increased risk if there is an issue with a machine failure or topple, with the harnessed-in operative being unable to escape and trapped by the falling equipment due to the fall dynamics and harness position. She/he would stand a greater chance, dependant on height, of surviving that fall by being able to propel them away from the machine before impact with the ground. So should the harness wearer be in restraint, work position or fall arrest-type harness and lanyard? This is where we should be giving guidance. Certainly in a boom-type MEWP or on a leading edge or rooftop, we want them to be in restraint, as it is short enough to stop them approaching the fall. In a suspended position, a work position with secondary safety line would be the obvious choice. As a last resort, we should use the fall arrest – this should only be used where there is a serious chance of the wearer falling, and therefore the shock absorber pack or system will alleviate some of the effects of the fall’s impact. For me, training is the most important element to consider when we look at working at height safety. Within this remit there has certainly been some improvements in adopting international standards. In the region we have seen the growth of these internationally-recognised qualifications. The feedback received, certainly from my company’s clients, on how they have raised their operator or user capabilities has been consistently good. To use the example of IPAF, in 2015 it carried out less than 2,000 operator licenses in the Middle East. This rose to over 4,000 in 2016. PASMA and CISRS have been seeing the same year-on-year improvements. In the last six months of 2016, it was a big part of my job to work with OSHAD and my clients to design and accredit a viable work at height suite of courses for the market, knowing that the course had to be more practical than theoretical, but still at a standard that could be internationally accredited to meet the scope of the codes of practice. Since trialling and delivering the course this year the uptake has been excellent and I can see the development for work at height safety taking another step forward. The actual workers or operatives are not the only people who need to be trained. As intimated above, for me it is almost more important to ensure that the person planning the job really understands the role and responsibility they have for the safety of the job. These are the people I try to influence and request participation on my delivered courses. If I and other work at height safety professionals can influence and deliver skills to this most important group of stakeholders, the accidents will reduce greatly. In summary, work at height safety comes from many angles, all of which need to be explored. Top of the list is in regards to strong legislation and enforcement, whether led by governments or national-bodies; for me in this region it doesn’t seem to matter so much as government contracts are often awarded via these bodies anyway. However, without any formal legislation, it is very difficult for a safety professional to convince a stakeholder to develop their organisation’s practices or people. Secondly, equipment must be selected correctly, and that selection should be carried out by someone who has the right mix of technical and practical knowledge, experience and confidence in being able to choose a newer type of technology rather than relying on what they have used before or seen a competitor use. This selection should take all of the points (and more) mentioned previously into consideration. Alternatively, they can employ a specialist to help in the site survey from one of their access equipment suppliers, which is generally offered free of charge. Finally, but most importantly, develop the skills of those who are working at height with the correct level of instruction that is internationally recognised and allow for a good mix of theoretical and practical assessment so you are assured of their abilities being improved in your place of work. Mike Palmer is a Graduate member of the Institution of Occupational Safety and Health (IOSH). He regularly speaks at committee events organised by IOSH’s UAE Branch. He is a well-qualified, respected and committed HSE and teaching professional with over 25 years’ experience working within a variety of industries such as aviation, engineering, oil and gas, nuclear, plant and machinery, construction, humanitarian and the military worldwide. He has worked in the Middle East for over 12 years, moving to the UAE in 2013. He is currently Regional QHSE and Training Manager for Rapid Access and is Chair of the Safety at Height Panel for PASMA (Prefabricated Access Suppliers’ and Manufacturers’ Association), and an IPAF (International Powered Access Federation) Council member. He has delivered all levels of teacher and HSE development training from basic to diploma standards including designing and delivering accredited qualifications. He has great experience developing work at height tutors for clients such as the Ministry of Defence in the UK, British Nuclear Fuels, Emirates and Dutch Shell.